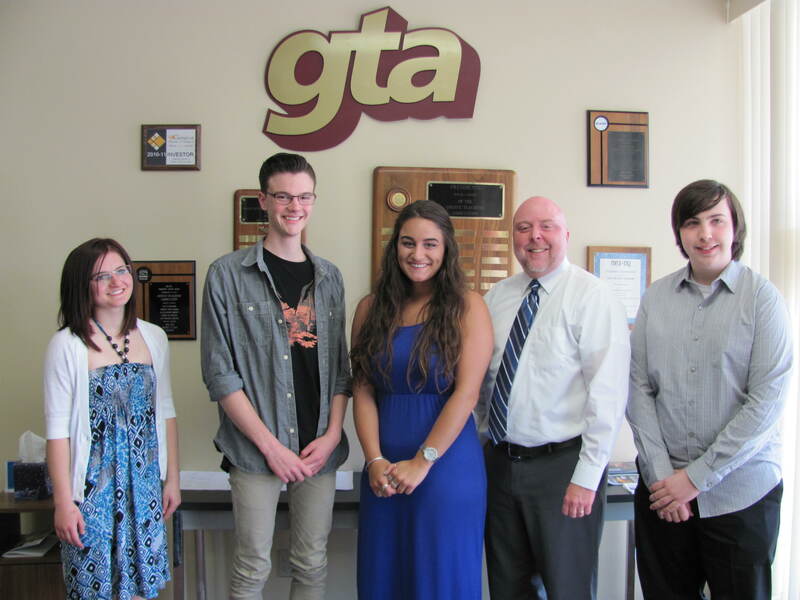 We would like to congratulate the 2018 recipients of our GTA Scholarships! These awards are given to high school seniors planning to pursue a career in education. 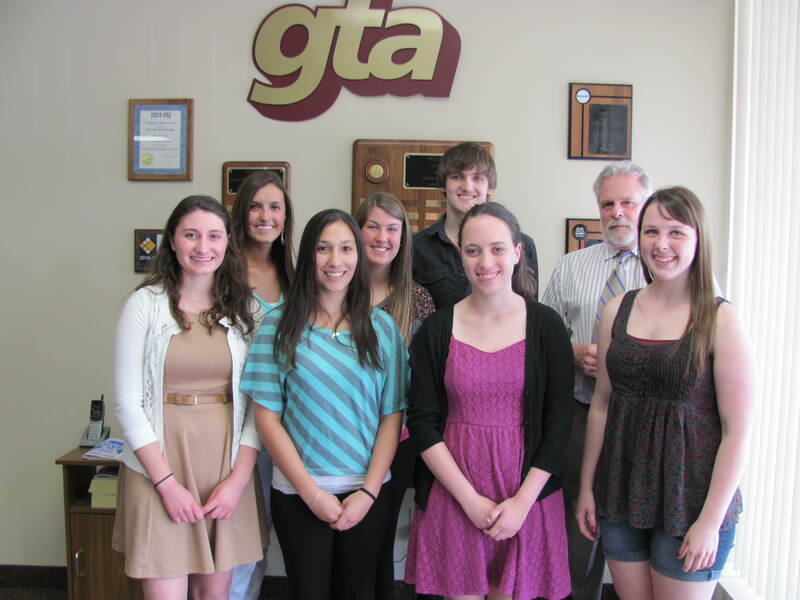 Our scholarship winners this year are (Lto R): Jason LoVullo, Catherine Wagner, Rebecca Hutchins, and Karlee Auld. We would also like to recognize and thank Mr. Warren Crandall, a retired Greece teacher and scholarship benefactor, for his congratulatory remarks and advice to the recipients. 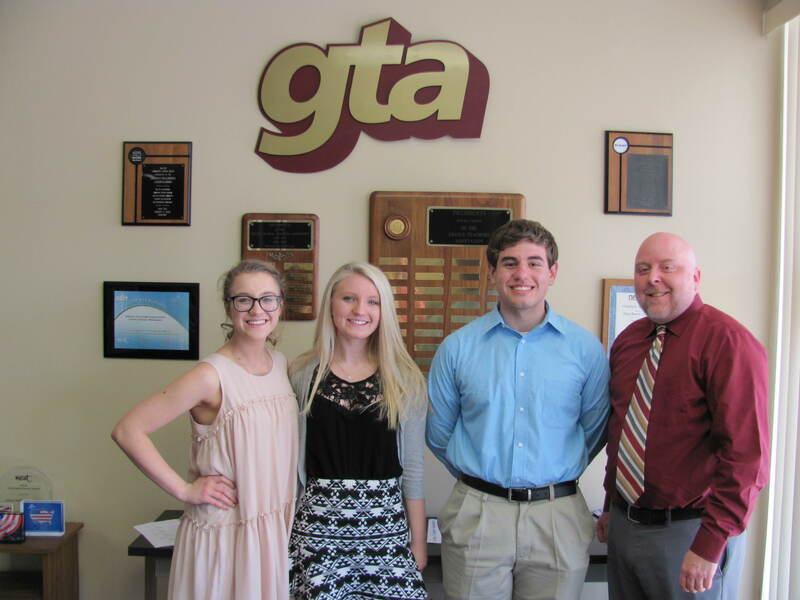 L to R: Abigail Heckman from Odyssey Academy; McKenzie Lynn from Arcadia High School; Noah Walton frrom Olympia High School; GTA President Jason Cooney. Not pictured, Machealla Martin, Athena High School. June 16, 2005 – The Greece Teachers Association recognized twelve graduating seniors who are heading into education and their families. They received $1,000 scholarships. From Odyssey: Kevin Speer, Shannon Kroeger, Sarah Liebrand. Athena: Paul Scholl, Jr., Melissa Bohrer, William Sturnick. Arcadia: David Buckhout, Jenna Wheater, Shana Thornton. Olympia: Janet Cramer, Joseph Scotto, Shannon Seyboth. 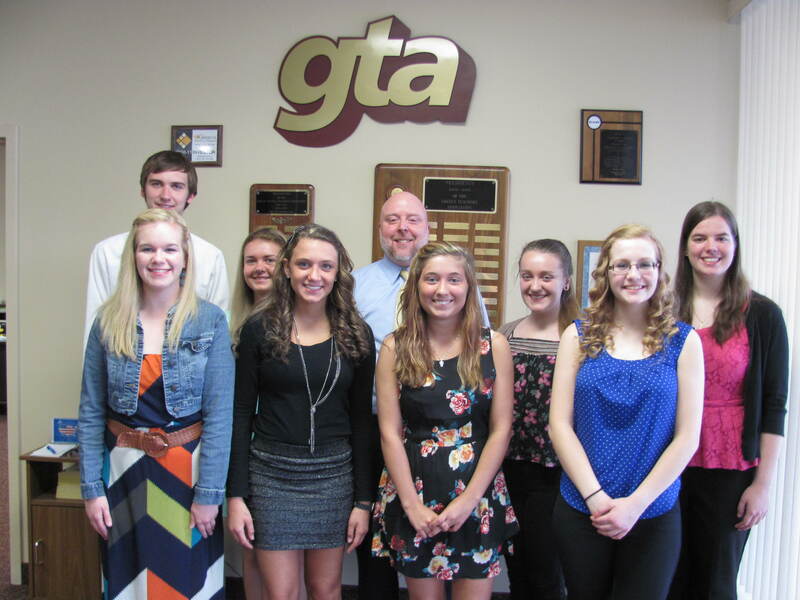 These students are among a select group of seniors who have been recognized by the Association over the last thirty years. 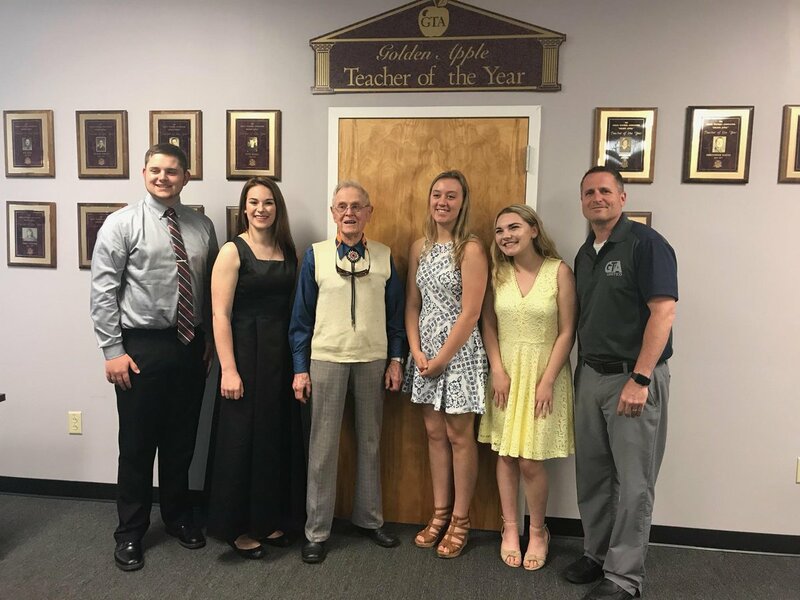 Starting with the Tom Brennan Scholarship Fund then evolving into the Greece Educators Memorial Fund and now the Greece Teachers Scholarship Fund, the Association continues to show its commitment to sponsoring graduating seniors heading into the field of education. The scholarship funds come from our members’ dues and our annual Eagles for Education golf tournament. In 2004, we raised over $16,000 for GTA and the Greece Education Foundation.